Official pastors in China are on lockdown and GOOGLE is helping. Only five years ago, Chinese President Xi Jiping and members of his team were meeting together with underground house church members in Beijing trying to convince them to register. Many pastors throughout China accepted President Xi’s offer and now they are severely restricted in what they are allowed to do. According to local reports, documents have now been issued to all of the registered pastors in Dandong City by the Religious Affairs Bureau of Liaoning Province implementing a new system that keeps all Christian leaders from leaving their home without telling the government. The new program is call the “Outbound System” (外出请销假制度) was developed last year and instructs all Christian leaders and pastors to apply to the government for permission to leave the city even for one day. Even if they would like to travel to another city in China to see their family or friends for personal reasons, they are not allowed to do so until it is approved by the municipal government of Dandong. According to this new regulation, traveling to another province or another nation is not possible without first getting permission from the government. According to a person in charge of the Three-Self Official Church in Shenyang City in Liaoning Province, a similar policy has also been implemented there. This restriction of movement is what the underground house church leaders in China have been concerned about in the past and why many of them refused to register. Even many western ministries were trying to talk house church pastors in China to register. Pastors and Christian leaders are also required to attend government education regarding China’s religious policies two times a year. These pastors are not easy to monitor unless they report directly to the government. In the past, the government has mainly relied on pastors to report in person, but now, with the advancement of digital surveillance, that is changing. 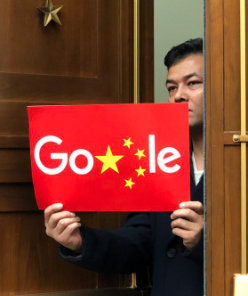 According to a recent article on the Daily Beast (https://www.thedailybeast.com/google-snubbed-the-pentagonbut-not-the-chinese-military) China has now employed the help of Google to help with the development of their national surveillance technology. This is something that Google denies. However, both the US Military and members of the US Congress have sounded the alarm. Google is also participating in joint AI research at Tsinghua University, Peking University, and University of Science and Technology of China. According to the report, Google’s AI efforts ‘will be making substantial contributions to China’s advancement of these critical technologies.’ These technologies are absolutely essential for China’s surveillance needs. China has been developing a national surveillance network to observe all of it’s citizens at all time, including the pastors and Christian workers living in the north eastern part of China and now it seems that they have a bit of help from a western tech company.